Do you miss your pet whenever you leave the house? Do you wish you could carry them wherever you go? 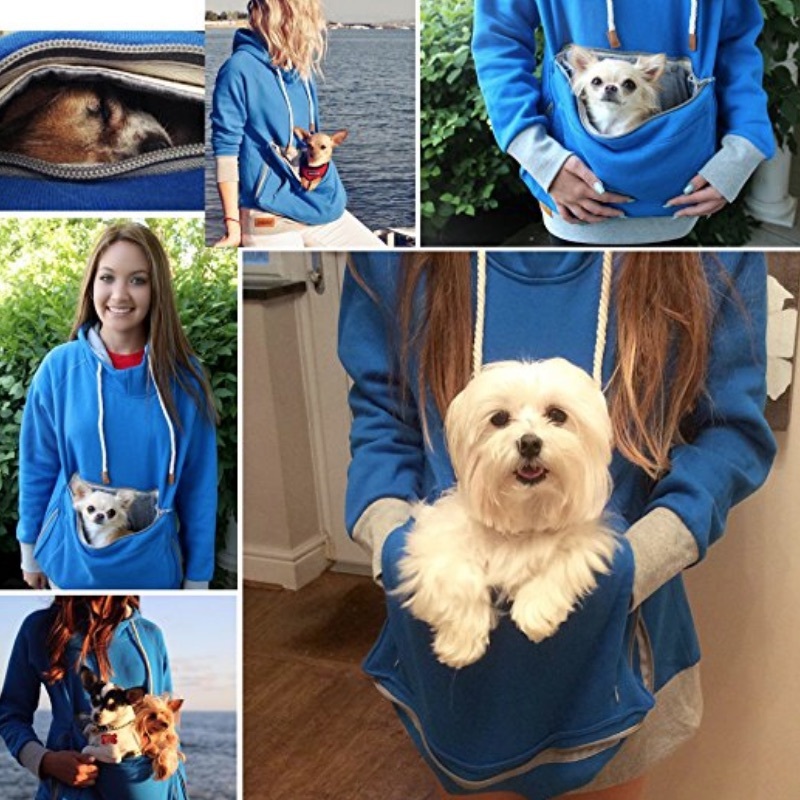 The Roodie Pet Hoodie is perfect for you! 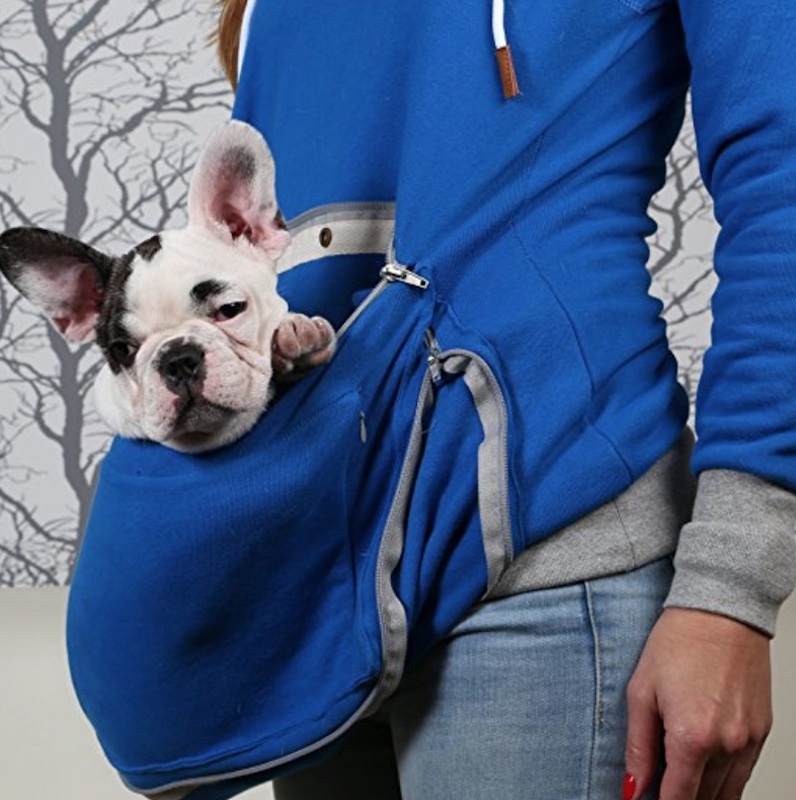 It’s designed to let you carry your small pet no matter where you’re going. 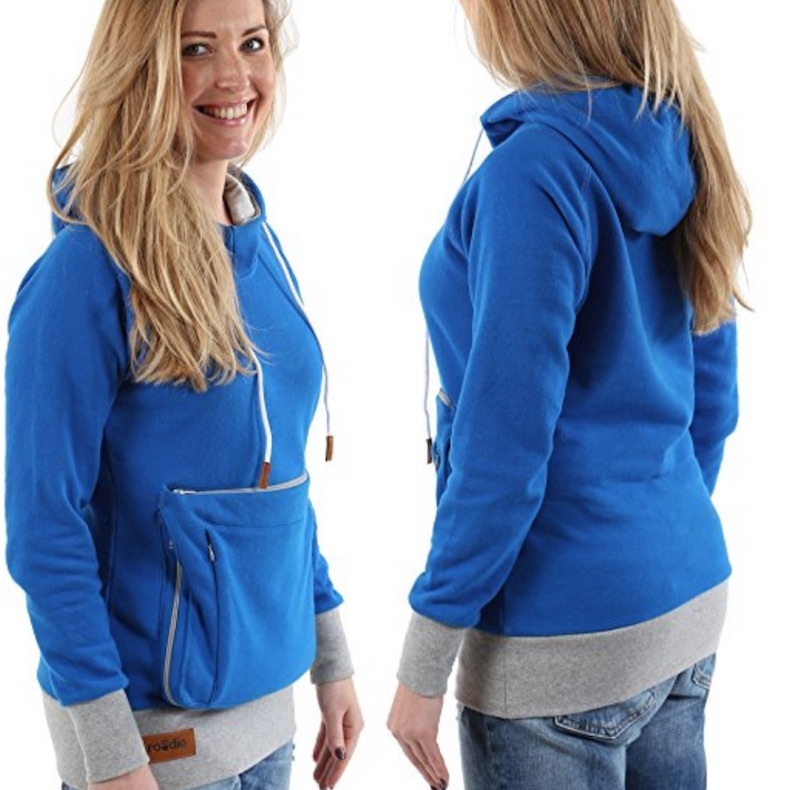 It’s made of a high-quality cotton and polyester blend mix, with strong snaps and zippers and a thick woven drawstring. 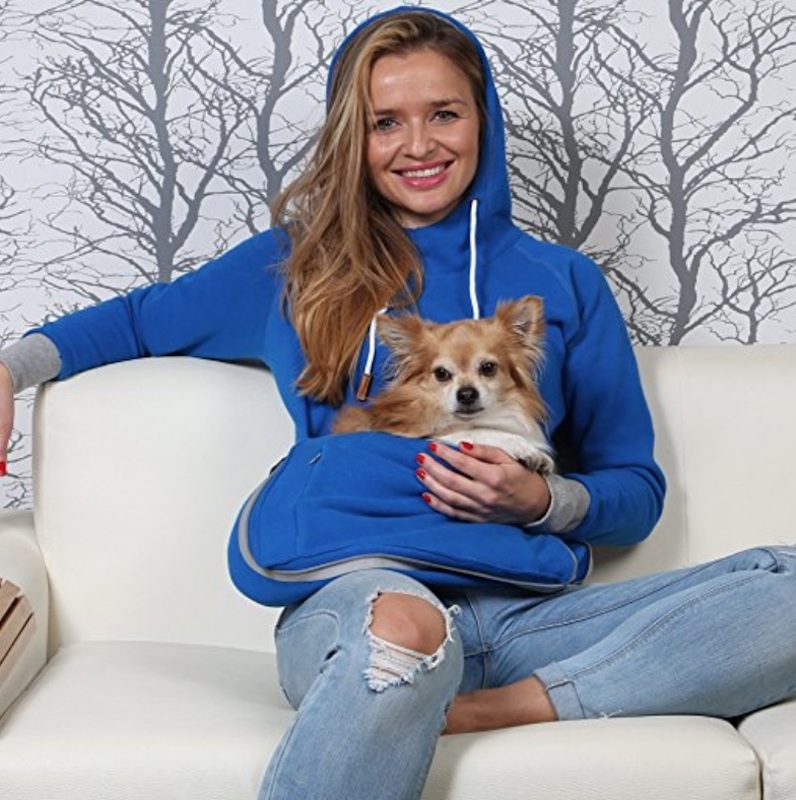 It’s comfortable, durable, and stylish—perfect for you and your pet! 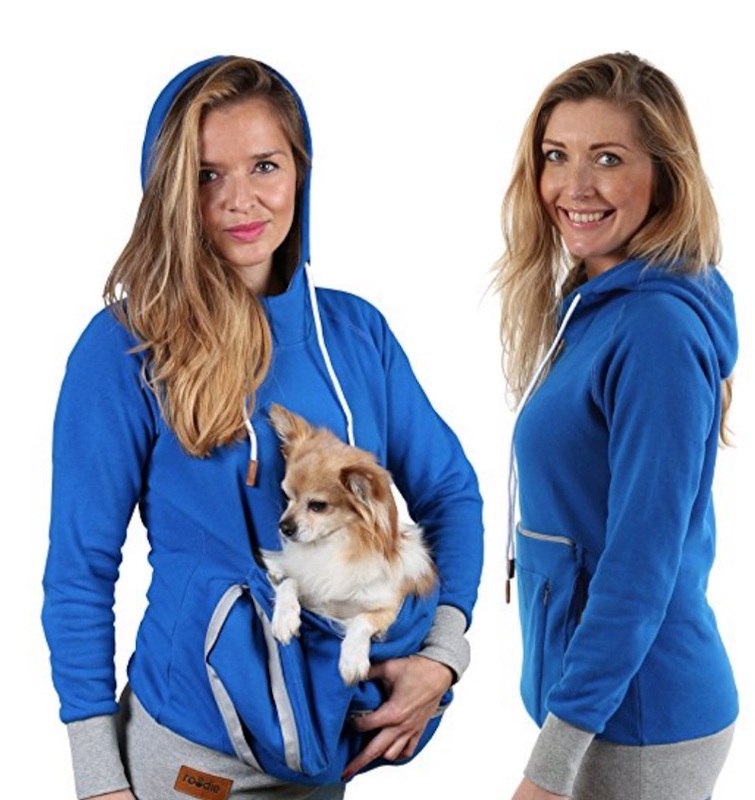 The hoodie has a soft, removable, and machine washable liner inside the pet pouch, letting you clean it easily! It also has inner zippered hand pockets separate from the pet pouch. 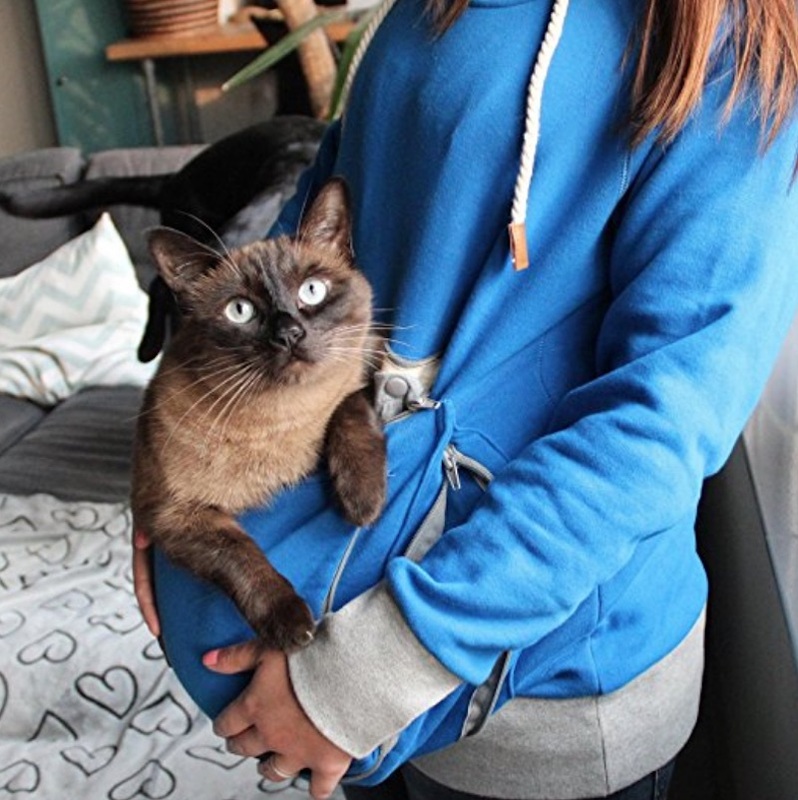 It can hold pets up to 15 lbs, and you can hold your pet close all the time! You can even wear it without your pet inside! It looks just as comfy and stylish, with or without your furry friend.